Primary – May 8, 2018. My parents immigrated to this country 45 years ago from India. I was born and raised in Indianapolis, and grew up learning two languages. I earned an electrical engineering degree from Purdue. After graduating from college, I worked for a manufacturing company for more than 5 years. STEM education is very important to me. I have spent time working in after-school programs teaching science and engineering concepts to children. I am a mom to 3 young children, and it is important that my kids understand their Indian (Punjabi) culture. They love the music and food, and understand the language. I grew up appreciating all cultures, and strive to teach my children the same. I have always been very active volunteering in my community. After the 2016 election, I decided I needed to get involved at a political level in order to advocate for more people. Several women and I started a progressive group in our area. We had regular meetings and learned about ways we could get more involved. There was one recurring theme that stood out to me: If we want to change our communities; if we do not think that our elected officials actually represent us – then we need to run for office. We have the power to change our communities. It is our responsibility to step up and take action. We need more people who are invested in their communities, who care about listening to one another, working together, and creating solutions, to step up and lead. So I decided to run. Education: Access to good quality education is the foundation for a strong community. I support public schools and educators. Indiana is one of 8 states that charges families for textbooks in public schools. These costs are considerable — up to $200 per student depending on grade level and district. I support eliminating textbook fees for public school families. Teachers should not have to pay for classroom supplies out of pocket either. We should be able to provide basic necessities for our public school families. A good education ties in to workforce development. Are we preparing our children for the jobs of today and tomorrow? Continuing education and training for adults is important for good jobs and better wages. Environment: Safe water and clean air are basic necessities. Indiana recently ranked 48th in Quality of Life according to U.S. News & World Report, taking into consideration the state’s drinking water and pollution. We should focus on aging infrastructure before this becomes a public health crisis. I will foster legislation that ensures Hoosier children grow up in a safe and healthy environment. Redistricting Reform: I support establishing an independent redistricting commission so that politicians are not drawing their legislative districts. Redistricting reform is crucial for fair and competitive elections. Representation matters. If we want government to be representative of the people, then we the people must step up and get involved. Candidates from diverse economic, ethnic, and occupational backgrounds better represent our communities. 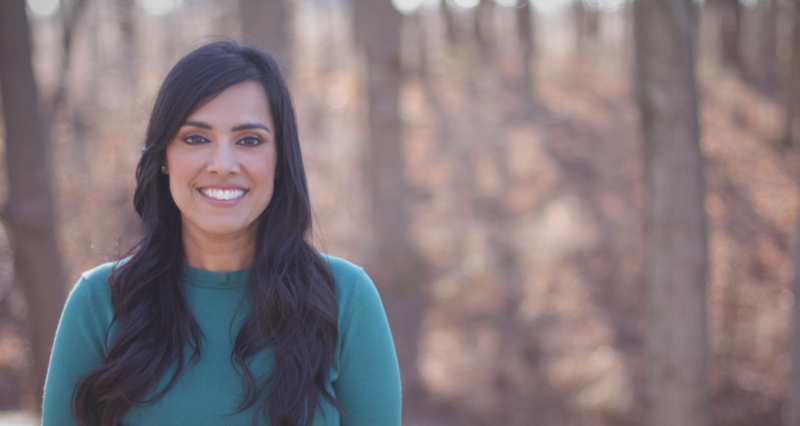 As a daughter of Indian immigrants, a woman, an engineer, and a mom of 3 young children – this is why I am running for office. We know what it means to work hard. For most of us, our parents came to this country with nothing. And yet look how far we have come collectively as Asian Americans. But if we want to ensure our communities are truly represented in government, then we need to break through at a political level. Get involved in your communities. Find out what issues matter most to the people around you. Support a candidate who shares your values. Be an organizer. A leader. A helper. When I decided to run for office, I knew it would be an uphill climb. What keeps me going is knowing that if I can inspire just one little girl out there – who maybe looks like me – then it’s worth it. Please visit www.gillforindiana.com to learn more about how you can get involved. Visit our Facebook page. Follow us on twitter @gillforindiana. Check out our campaign in the news. Our campaign runs with the support of the people. Please consider a donation of $19.86. A 32-year term is long enough, and it’s time we remove career politicians who have been in office since 1986. On April 7, we are registering voters at the Circle City Bhangra Competition (traditional Indian dance competition). This event draws nearly 1,000 young people and we are excited about engaging our community and ensuring their voices and votes matter.